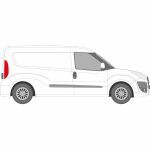 Vauxhall is a British manufacturer of a number of different commercial and leisure vehicles. 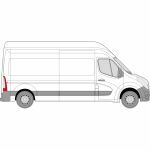 At Van Glass, we supply high-quality aftermarket glass for various Vauxhall van models. 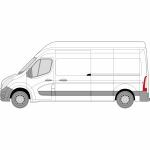 Do you have customers in need of Vauxhall van glass? 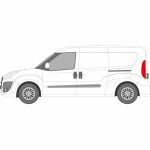 Whether you’re fitting a replacement window or working on a van conversion, look no further than Van Glass. All over the UK, we help keep garage’s customers happy with safety standard-compliant side windows and glass. Look at the models we stock glass for below to make your order. Unsure of what product you need? Feel free to get in touch via our contact form or give us a call on 01228 810 018 and we’ll be more than happy to help. 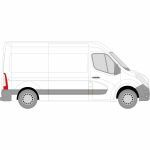 Need your Vauxhall van glass in a hurry? With Van Glass, you won’t have to keep your customers waiting. If you make an order before 17.30pm Monday - Thursday, we’ll get it to you the next day (UK mainland only). Do you need the windows fitted too? Unfortunately, Van Glass only supplies the glass. 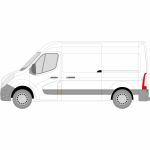 Our parent company, tradewindscreens.co.uk in Carlisle, Cumbria, does fit van windows. Have a look at their website for more information if that’s what you need. Struggling to find the right product? Even if we don’t stock it, we may be able to point you in the right direction. With more than 25 years’ experience, we’re more than happy to share our knowledge, whether it’s on the best fitting methods or what glass is right for you. Get in touch via our contact form or call us on 01228 810 018 to get help now.